Our consulting team provides world-class engineering services for all types of exploration and production projects. Horizontal well prospect evaluation; Reservoir simulation of recently drilled horizontal wells; Type curve analysis for estimation of permeability, drainage area and effective drilled length of a horizontal well. Forecast of production response from wellbore heating technique in various types of reservoirs. Performance evaluation of Horizontal Well waterflood. Pressure build-up analysis of gas wells in a condensate field; Reserve analysis of vertical wells; Decline curve analysis to estimate formation properties; Reserve analysis for commingled wells in two formations; Hydraulic fracturing design optimization. Feasibility study for horizontal wells in a fractured shale reservoir. Completion design and performance evaluation of horizontal well. Performance evaluation and reserve estimation of recently drilled horizontal well. Performance evaluation and estimate of reservoir properties and reserves for vertical wells; analysis of pressure buildup test; Production forecasting for a horizontal well prospect. 3-D Reservoir simulations to determine drive mechanisms and production practices. Evaluation of horizontal well prospect. Reservoir evaluation and a single pattern reservoir simulation study of waterflood units; Forecasting of future performance and reserves using both vertical and horizontal well development alternatives. Developed design and cost estimates for drilling a horizontal well. Produced drilling procedure for vertical wells in a sandstone formation. Horizontal well prospect evaluation, feasibility study and production forecast for a tight (<1 md) chalk gas reservoir. 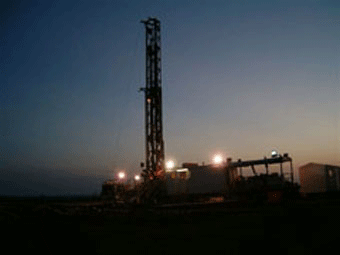 Evaluation of horizontal well-gas prospect in a reservoir with a bottom water zone. Study of horizontal well spacing for regulatory purposes. Evaluate use of short (300’) laterals in sandstones with bottom water drive. 3-D Reservoir simulation studies on gas storage reservoirs to determine probable working gas volumes. Design and analysis of pressure buildup tests in several vertical wells in a low-permeability fractured limestone oil reservoir. Horizontal well forecasts based on vertical well history matching and pressure transient analysis. Pressure transient analysis for horizontal wells in a low-permeability fractured limestone oil reservoir. Analysis of stimulation treatments in horizontal wells. Drilling and completion design of horizontal well prospect in sandstone formation; Reservoir simulation and production forecast. Well testing studies of pressure buildup tests in horizontal wells. Comprehensive geological study of a sandstone reservoir, develop structure, isopach maps, and estimate reserves using GeographixTM Software. Reservoir simulation and production forecasts for a fractured horizontal well. Industry survey of trends in horizontal well drilling, completion and reservoir engineering aspects. Pressure build-up analysis of a vertical fractured well. Horizontal well technical feasibility study; comparison with vertical wells in a bottom water drive reservoir and in a tight sandstone oil reservoir. Reservoir simulation study to determine possible productivity improvement with multilateral drilling. Three-dimensional, reservoir simulation to develop horizontal well production and injection forecasts for a gas storage project. Three-dimensional, reservoir simulation to optimize lateral placement of a horizontal well to maximize reserve recovery. Pressure build-up analysis, preliminary horizontal well forecasting, evaluation of effect of horizontal well length on production rates and reserves, and production log interpretation. Horizontal well forecasting, estimation of drilling and completion costs for new horizontal wells and re-entry, and post-stimulation buildup analysis. Survey of horizontal gas wells in a dolomite reservoir. Analysis of early horizontal well performance in a naturally-fractured carbonate reservoir; production forecast and reserve estimate; recommendations on spacing, drilling, and production aspects of future horizontal wells. Study of drilling, completion, and production methods on three horizontal/mutilateral wells in a naturally-fractured carbonate reservoir; recommendations for improving profitability in current operations and future development. Study of production potential of ultra-short radius multilaterals, using reservoir simulation. Horizontal well production log evaluation in high-permeability sandstone reservoir. Pressure build-up analysis of horizontal wells in a tight gas reservoir. Three dimensional, reservoir simulation to develop horizontal well production forecasts in a gas reservoir. Rate and reserves estimate for fractured and unfractured horizontal wells in chalk formation. Evaluation of technical feasibility of horizontal wells in offshore field with strong bottom water drive; Developed forecasts for both horizontal and vertical wells. Analytical screening of 10 fields, followed by full field simulation of two fields to determine the optimum locations, lengths and offtake rates for horizontal wells. Comprehensive reservoir, drilling, and completion study of 30 horizontal wells in two carbonate fields. Evaluation of horizontal well prospects; Drilling and completion design and evaluation of horizontal well performance in a fractured carbonate (oil) reservoir with top gas and bottom water zones. Performance evaluation and production forecasting for horizontal well prospects in a fractured volcanics reservoir with bottom water drive. Rate and reserves estimate for short, medium and long radius horizontal wells in a fractured volcanic formation. Recommendations on the best well type and production strategy to drain reserves economically. Post-well drilling analysis and critique for horizontal well. Evaluation of horizontal well feasibility; Reservoir simulation study of horizontal well for sandstone reservoir with strong bottom water drive. Evaluation of horizontal well prospect and production forecast. Reservoir simulation study of horizontal well feasibility in a thirty foot oil column with gas coning. Reservoir simulation study of horizontal well feasibility in a one hundred and fifty foot oil column overlain by gas and underlain by water. Performance evaluation and production forecasting for a horizontal well prospect in a reservoir with bottom and edge water drive; Reservoir simulation study for production forecasting of a horizontal well drilled in a thin oil column. Analysis of flow and pressure buildup tests. Developed production forecasts at proposed location for a horizontal well sidetrack. Development plan for converting a low-permeability sandstone gas reservoir to gas storage, using reservoir simulation. Forecast of production/injection volumes, guidelines for operation. Performance evaluation of 30 horizontal oil wells in three reservoirs. Pressure buildup analysis, history-matching to determine reservoir parameters, and recommendations for optimizing production. History match of well performance and production forecast of new and re-entry horizontal wells in a steeply dipping reservoir with top gas and bottom water. Drilling and completion design, cost estimates, drilling procedures and economic analysis. Horizontal drilling and completion survey. Analysis of pressure buildup test, horizontal well evaluation, and well underperformance study. Vertical well, mud and casing design, with complete drilling, completion and testing procedure. Evaluate drilling campaign for a field producing from a sandstone reservoir, and determine strategy of drilling horizontal, highly deviated or vertical wells. Performance evaluation of several horizontal wells drilled in sandstone and carbonate reservoirs. Pressure buildup analysis of horizontal wells. Estimate of productivity and reserves for vertical wells and ultra short radius drain holes. Well test analysis for two horizontal and two slant wells in a heavy oil reservoir; Analysis of horizontal well performance including wellbore and surface facility; Design and evaluation of artificial lift system. Study of horizontal well performance in a gas condensate reservoir. Reviewed world-wide experience and literature base on non-conventional well technology, with emphasis on increasing rate and reserves and reducing costs. Gaps in existing technology were discussed. Reserves and cost savings available form short and ultra-short radius drilling were quantified. Screened 14,900 reservoirs for applicability to short, medium and long radius horizontal wells. Made estimates of total reserve potential form each well type. Reviewed world-wide experience and literature base to report on state of the art of short and ultra-short radius drilling including historical success, completion types, potential application in various reservoir types, availability of various drilling tool types and diameters and costs and potential reserves available from each method. Rates, reserves and drilling costs were estimated for slim hole vertical wells and horizontal wells in a limestone in western Venezuela. Reviewed world-wide experience and literature base report on state of the art of slim hole drilling including historical success, completion types, potential application in various reservoir types, availability of various drilling tool types and diameters and costs and potential reserves available from each method. Complete study of horizontal new-drill and re-entry well potential in the sandstone in eastern Venezuela, including simulation study for rate and reserves, cost estimates, drilling procedures and economics. Feasibility study of high capacity artificial lift for a sandstone in western Venezuela. Literature survey on effect of producing rate on recovery. Results were then translated into recommendations for a sandstone in western Venezuela. Complete well design was engineered for a limestone in western Venezuela, including casing and mud design, costs and drilling procedure. Reservoir simulation study, re-entry horizontal well performance review and reservoir description. Analysis of performance of horizontal and vertical wells. Sensitivity study to determine impact parameters on ultimate recovery, well spacing, and well life.